In celebration of the 40th anniversary of Foreigner’s multi-platinum album, Double Vision, the band behind such iconic songs as “I Wanna Know What Love Is,” “Cold As Ice” and “Juke Box Hero” has announced the first ever ticketed event that will reunite all original members of Foreigner at this year’s Sturgis Buffalo Chip Rally in Sturgis, SD on Saturday, Aug. 4. For one night, Lou Gramm, Dennis Elliott, Al Greenwood, Ian McDonald and Rick Wills will join Mick Jones and the current line-up of Foreigner to rock through some of the songs from Double Vision as well as other material from the band’s arsenal of hits that spans more than four decades. Double Vision (released in 1978) is the band’s sophomore album and features such classic rock staples as “Hot Blooded” and “Blue Morning, Blue Day,” as well as the equally as infectious title track. Fans of this legendary band will not want to miss this once in a lifetime event. AXS recently spoke with Lou Gramm about the Foreigner reunion, the Double Vision album, career highlights and more in this exclusive interview. AXS: What prompted this all-original member reunion concert? Lou Gramm: For a number of years, whenever the current band came to town, a few of us would sit in and play a song or two. But as the idea of putting the original band back together started to gain momentum, we wanted to tie it into something special, and you couldn’t ask for a better tie-in than the 40th anniversary of the Double Vision album. Because it honors the album, the original band will play songs from that album as well as a few other ones. Then the current Foreigner will play a cross-section of hits and, toward the end of the show, everyone will take the stage and play. There’s even a short, acoustic segment. AXS: What goes through your mind when you think about this reunion? LG: When I think about doing those songs and realizing it’ll be the guys on stage with me, it makes me think back to those old times and how wild and fun it was to perform in front of thousands of people and know they just loved the music. AXS: Let’s talk a little about the Double Vision album. Where does that rank in terms of your favorite Foreigner albums? LG: For me, Double Vision ranks #2. 4 is my favorite album with Double Vision right behind it. 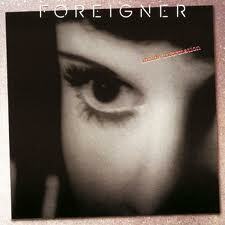 AXS: Foreigner’s debut album was so monumental. When you think back to those sessions working on Double Vision, was there any sense of pressure from the record label about having to deliver the goods again? LG: They didn’t put as much pressure on us as we put on ourselves. Because we didn’t just want to deliver, we wanted to do better than we did the first time, and that first album set the bar pretty high. We recorded with Keith Olsen, and he had just come from doing Fleetwood Mac’s Rumors. He was great helping us produce and making the songs sound the way they should sonically. We had good ideas. It just took a little time to craft them into the songs they became. It was fun and exciting all the way through. AXS: Let’s discuss a few tracks from the album. What do you remember most about “Hot Blooded”? LG: We used to work at Mick’s apartment and he would just keep playing one guitar riff after another. Just playing whatever came into his mind. When he started playing that riff, I remember saying, “Wait! Stop! What’s that?” Mick said it was just another riff. So, I started singing along to it. We eventually got the idea of what the chorus would be and then started working on the verse lyrics. Once they were put together it naturally led to the “Hot Blooded” verbal line. I remember we were jumping off the walls when we cracked the title of the song. Interview with Lou Gramm by Clicking Here! Interview with Lou Gramm & Michael Staertow Here! Former Foreigner vocalist Lou Gramm pulls no punches in his new autobiography, Juke Box Hero. In the book, which was co-written with Scott Pitoniak, Gramm leads readers on a journey from his humble beginnings in Rochester, New York, to the biggest stages in the world. He recounts his stint with Black Sheep, plus the ups and downs of working with guitarist Mick Jones in the band that made him famous. From the diagnosis that nearly took his life to his solo career success and fascination for muscle cars, Gramm’s book is an honest portrayal of self-reflection from one of the greatest voices in rock history. I had the pleasure of speaking with Gramm to discuss Juke Box Hero and get his thoughts on being inducted with Jones into the Songwriters Hall of Fame on June 13th. You Can read my complete Guitar World interview with Lou by Clicking Here! The other day I finally got around to adding the $15 i-Tunes gift card I received for Christmas onto my i-Tunes account. I have to admit, although I do have a lot of songs in my playlist, most of which converted over from old CDs, I haven’t had much desire to purchase anything new as of late and hence my delay. But with fifteen bucks beginning to burn a hole in my pocket I started perusing the list of what’s currently being classified as “hot” to see if anything struck my fancy. As expected, I began to become a bit discouraged. Call me old (well, on second thought don’t) but I’m from an age where music and lyrics actually mean something. Having a robotic voice singing to a pre programmed beat and calling it music just doesn’t appeal to me. And what’s with all these different versions of the same song? A song, and album for that matter, should always stand on it’s own. But yet I saw a listing of a current “hit” with no less than four different versions of the song to choose from: one done by the original artist, another a re-mix version with some rapper I never heard of, yet another version done for a Kidz Bop CD and finally one done by the cast of the TV show ‘Glee’… “This is Hot?” I asked myself. “More like cold. Cold as ice”. I didn’t want to see the date it was released. I knew it was a long time ago. Ok, twenty-five years if you really must know. An album that sold 1.6 million copies worldwide and one that also has some history with me and suddenly I started to remember. This was just one example of an entire album that related to me. It was a typical Friday night two dozen summers ago. High school was over and college had been delayed temporarily for me due a lack of funds. I was still living at home and spent most of my days working 9-5 for minimum wage in the receiving department of the local supermarket trying to save money and start my music education journey at community college. Say you will. Say you won’t. Make up your mind tonight. 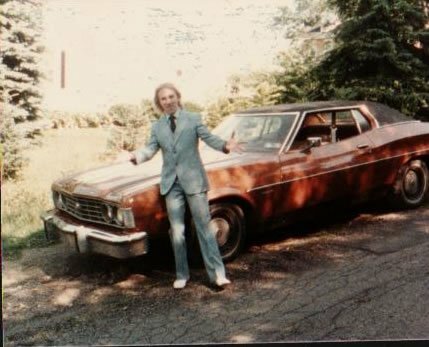 Once the whistle sounded that Friday night it was time to jump into my orange 1974 Ford Torino and meet my fellow musician buds Nathan and Ronnie for a night of debauchery. At least that’s what we called it. I suppose that in some countries ‘debauchery’ is still defined as hanging out at a miniature golf place making plans to become rock stars and then having cheese fries and coffee at the local diner. It worked for us. I still don’t remember how the Inside Information cassette got into my possession. I figure it must have been one of the twelve cassettes I initially chose for a penny from Columbia House as part of my initial membership. A membership that I never completed. But that tape was the soundtrack to my life for months in the summer of 1988. I don’t wanna live without you ~ live without your love. The funny thing about cassettes is, it’s almost impossible to skip a song on one of them. Unless you have the patience and where withal to meticulously fast forward or rewind you were pretty much stuck having to listen to the entire album in order. Suffice to say, I had neither of those qualities so I got to know every track personally from “Heart Turns To Stone” all the way through to “A Night To Remember“. Read ’em and weep tonight ~I’m gonna let all hell break loose. For the next several hours me and my homies did just that: raised hell cruising the strip and visiting the V-7 miniature golf range. I was feeling particularly lucky that night and my play proved it. Much to Nathans chagrin I sank three hole-in-one shots that night, including one through the dreaded windmill. But during my hat trick run I noticed that Ronnie seemed to be a bit distant and I’d soon discover why. To this day I still have no idea what the hell it was he did that went too far and ruined the relationship. The song just seemed to fit the moment and we all got a good laugh out of it. Eventually we ended up in the diner counting pennies in our pockets to pay for coffee and french fries covered in cheese. Even though it was well after midnight just knowing that we had no where to go and nothing to do in the morning was comforting. We could easily have stayed there all night discussing women, music and songwriting and how all three were going to be a huge part of our lives as soon as we became rocks stars. But it soon became apparent that bed was calling. Perhaps it was a good thing it was midnight and no one was around for it might have been the most horrific version ever done. But late nights and copious amounts of caffeine and cheese have a tendency to throw you off key while singing A cappella. Yeah, that was my story and I’m sticking to it. So, two dozen years after that night to remember, Inside Information was added to my i-Tunes playlist. An album I loved but had completely forgotten about. And although the V-7 has been closed for years to golfing I think one of these nights I’m going to give Ronnie and Nathan a call. We’ll take a ride up The Strip in my 2010 Toyota Rav-4 blasting Foreigner again and seeing if the magic is still there.